by Becklin, Karonne J., Sunnarborg, Edith M.
Becklin, Karonne J., Sunnarborg, Edith M.
Students use this 12-chapter text-workbook and accompanying dictation program to learn to transcribe, proof, and edit a variety of medical documents, including chart notes, history and physical reports, consultations, office procedures notes, x-ray reports, and more. New chapter includes review and case studies. 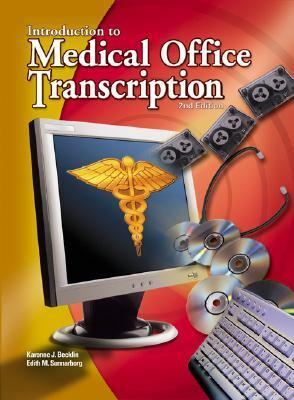 Prerequisites include familiarity with basic English, keyboarding and transcription skills, and knowledge of basic medical terminology.Becklin, Karonne J. is the author of 'Introduction to Medical Office Transcription', published 2002 under ISBN 9780078262609 and ISBN 0078262607.